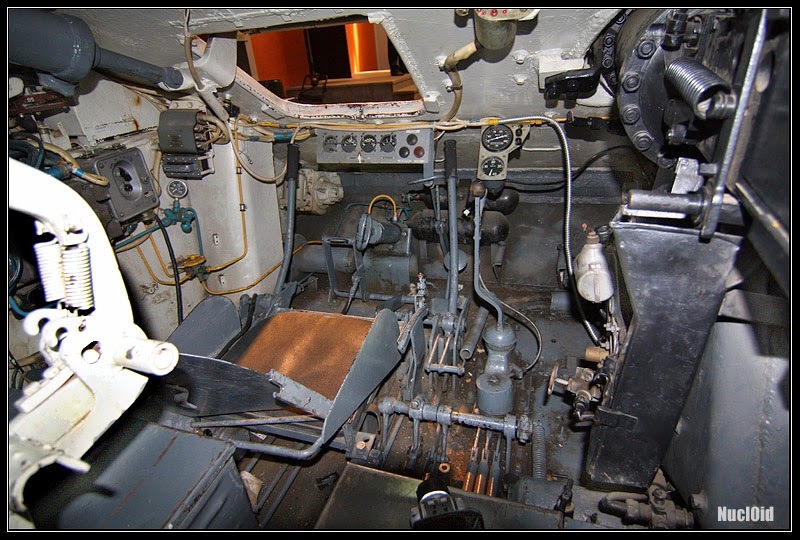 Here's a picture of the inside of a flamethrower modification of the T-34. As you can see, the seat of the hull gunner/radio operator is replaced with the flamethrower device. So how many crewmen does this tank have? Three? Wrong. 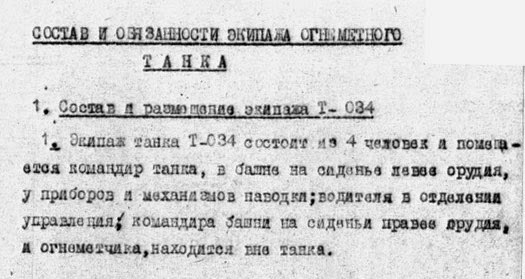 "Composition and duties of the flamethrower T-O34 tank. 1. The crew of the tank consists of 4 men. The commander of the tank is placed in the turret, to the left of the gun, near the aiming mechanisms. The driver is placed in the driver's compartment. The turret commander is placed in a seat to the right of the gun, and the flamethrower technician, located outside the tank." The flamethrower technician does not run after the tank into battle, of course, but is tasked with refilling and repairing the device. I guess the driver aims the flamethrower then? I think the gunner does, actually. I don't see any handles that could be used for aiming the flamethrower, in the driver's compartment.